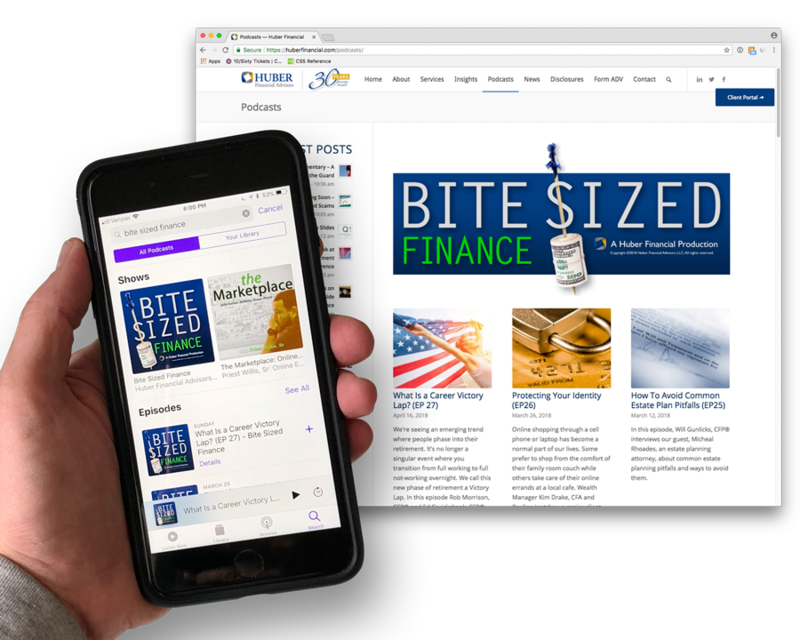 Bite Sized Finance is a monthly Podcast by Huber Financial. Their tagline is “Where thoughtful pieces of financial wisdom come in small manageable packages”. The logo was designed to illustrate this concept, and is utilized as a logo, app icon, and cover graphic throughout several podcast platforms, web pages and mobile devices.